Competition is a place where we can test our intelligence limit. There are many competition that always being held out there. 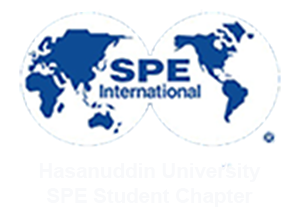 So that’s why Competition and Delegation (CnD) Division of SPE Unhas SC make a project named “Competition Simulation” to make us, all the board member know and feel the atmosfer of the real competition. On March 28th 2017, the first competition simulation being held. We were divided into 6 groups, but all the participants in group 5 weren’t attended the simulation. There were around 11 participants from the board member with 4 post and 1 judge each. The judge in Post 1 is Reza, Post 2 is Arman, Post 3 is Riska, and Post 4 is Ridho. All the groups need to passed all the post to go to the final round. In post 1, 2 and 3, the group needed to answer 20 question in 5 minutes. And in the last post, we had games named fun stories. In this games we needed to continue the story from Ridho and guess the title of the story. Although the project named as “Competition Simulation”, but the simulation was quite competitive. ‘Cause almost all the group wanted to be in the final round. But, only 3 groups were choosen to the final round. They were group 1, group 2, and group 3. Group 1 was presented by Ida, group 2 were presented by Fatma and Rexy, and group 6 were presented by Kadri, Ari and Lia. The final round became more competitive because the judges said that the winner would got a special prize. And in the end of the game, group 2 became the winner, group 1 got the 1st runner up and group 6 became the 2nd runner up.